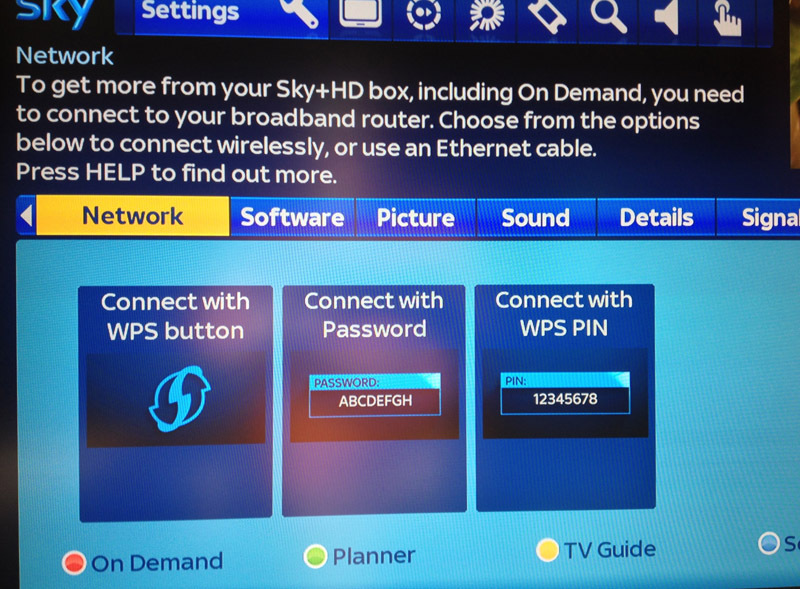 As an accessory to a Sky+HD box, it is possible to purchase an on demand connector, which is essentially a Wi-Fi adaptor that allows the router and sky recorder to be linked. 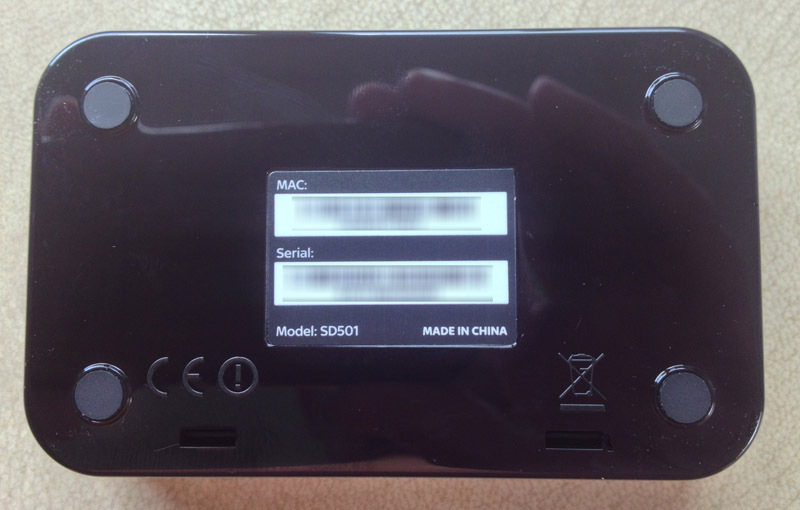 This is a review of how it performs and what additional features you can expect with it. 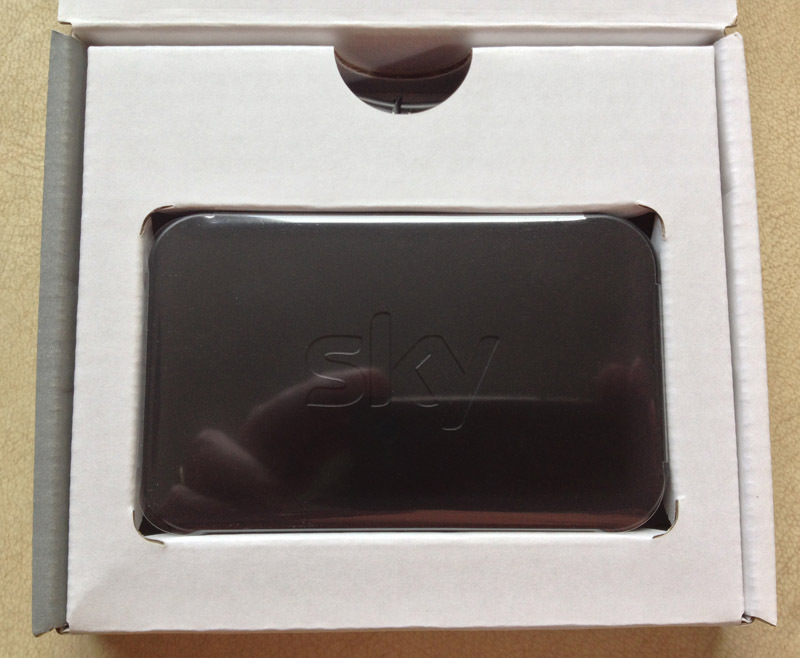 These units normally cost around £25 but Sky are doing a number of deals at the moment where these can be supplied for free and that is how I got mine. A 50cm USB cable (with standard USB2 connector on one end for connection to the Sky+HD box and a micro USB connector on the other end for connection to the SD501). See the images below for more details on the connector package, clicking on one will take you through a slide show of the unpacking sequence. Connecting the unit to the Sky+HD box is simplicity itself, just power it off, and place the USB connector into the free slot on the rear. 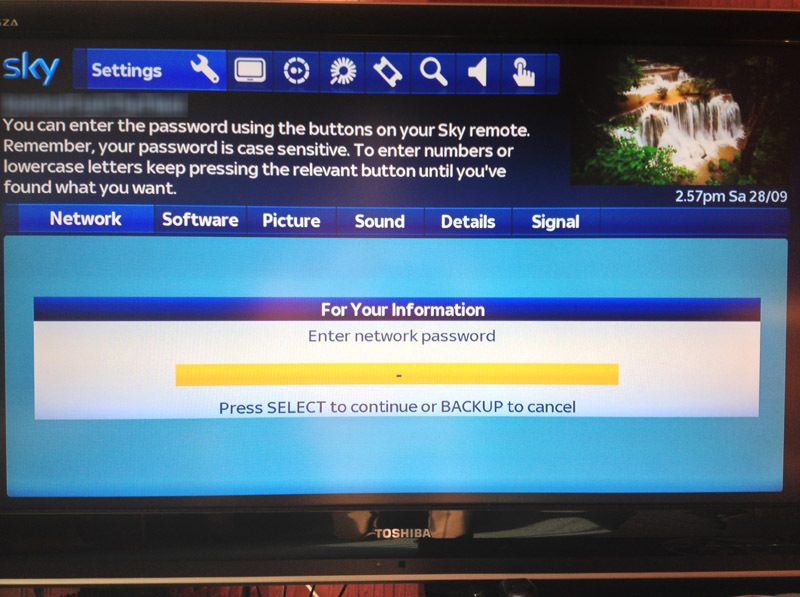 Turning the Sky+HD box back on results in the network page being brought up, which offers a number of means of connecting the SD501 to the router. It should be noted that it does not need to be connected to a Sky router, any modern one should be capable of supporting this. In the case of my installation it was connected via Wi-Fi to the Sky SR101 router. 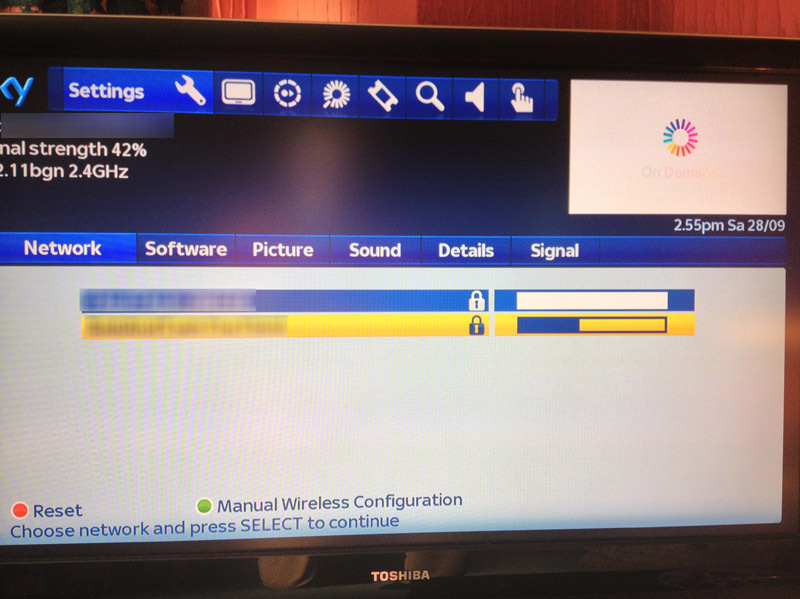 The following images show the setup choices presented on the screen and then the network info that follows. 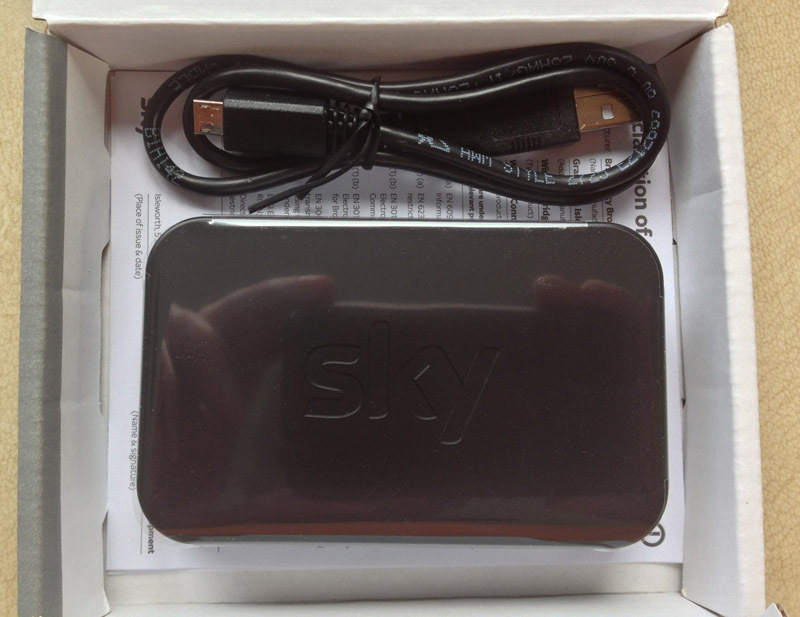 Sky Store and Movies (categorised into a number of different areas and available at a range of prices). Catch Up TV (extensive range of channels including BBC iPlayer, ITV, 4oD, Demand 5, Sky 1, Sky Atlantic, Sky Living, Sky Arts, Sky Movies (if subscribed), Sky Sports (if subscribed), Universal, Syfy and Fox). Box Sets (TV series, both from Sky and other channels). The following images show some screenshots from this area. 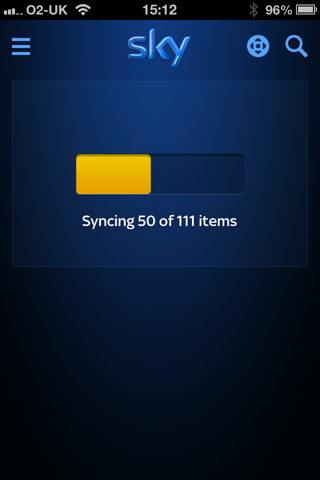 Sky provide an Sky+ app that can be used on both the iPhone and Android operating systems. 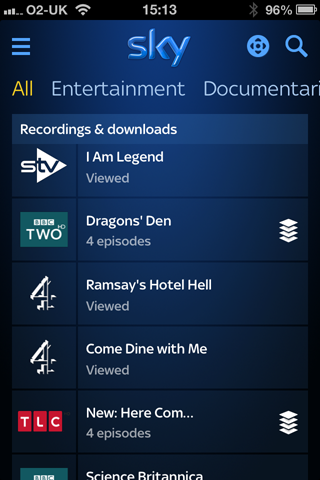 This is a very useful app even without the addition of the On Demand Connector, and offers TV guide and the ability to remotely set up your Sky+HD unit to record a program. 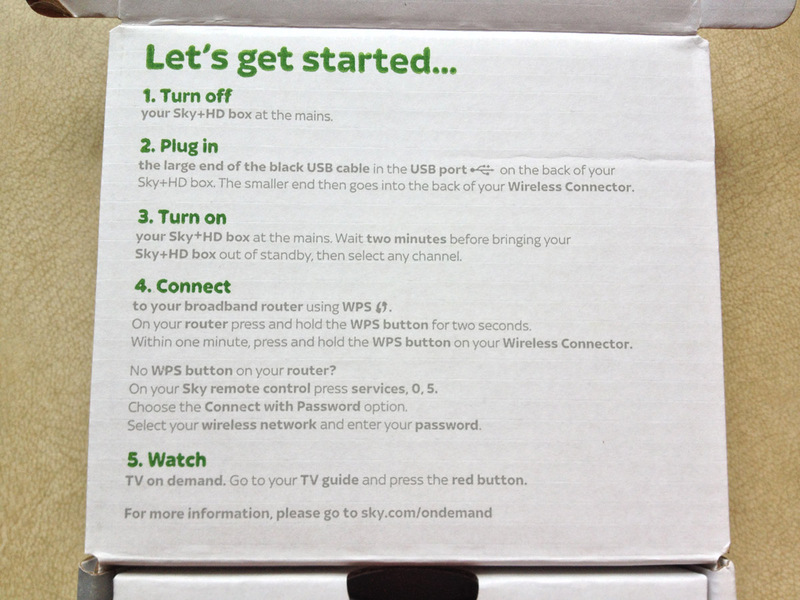 When paired up with the On Demand Connector however, a number of additional features are provided as listed below. 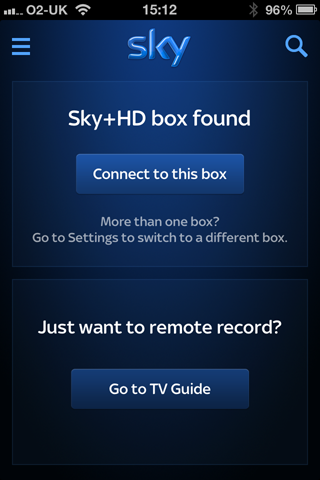 When the Sky+ app is first entered after the On Demand Connector is fitted, the app highlights that the Sky+HD box has been found and allows the app to be connected to it. See the image on the right for an example of this. 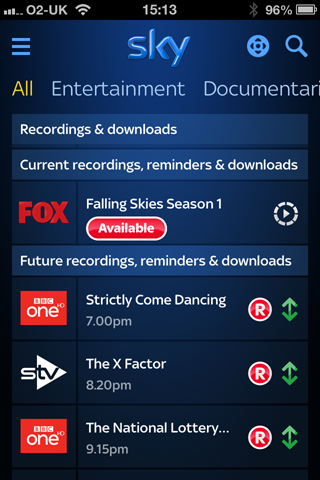 Once connected, the app syncs itself with the information already on the Sky+HD box and then provides a list of the recordings and downloads. These can be navigated from this menu and the chosen program can be started from here. 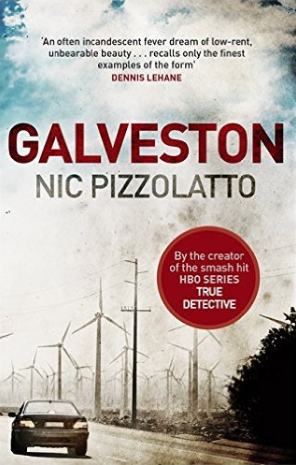 Series links can also be seen. Definitely the way to show your geek credentials! 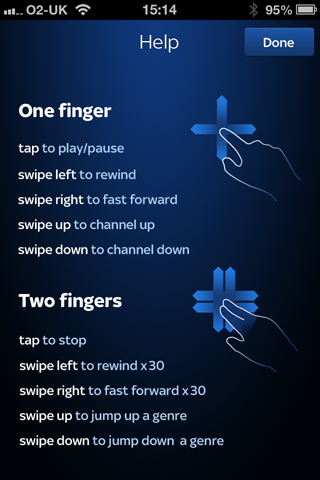 When using this screen in the app it is possible to use your smartphone as a remote control; the one screen allows pause, channel control and fast forward/rewind capabilities. See the image on the right for an example of this. 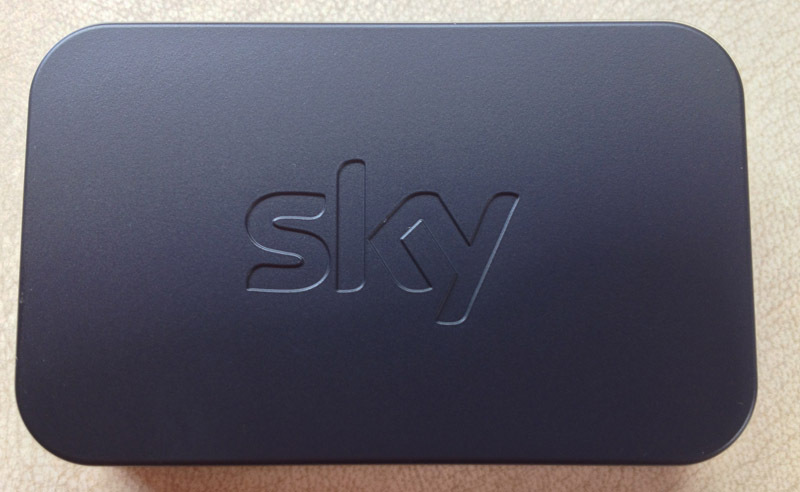 The Sky On Demand Connector introduces a number of additional features to the Sky+HD unit for a very small (up to free) cost. The Catch Up TV options are very extensive and a wide range of channels are offered. The Box Sets are also of interest and all of these are free of charge. For a cost, there is an extensive range of films offered, significantly more than the limited options (Anytime) that are offered without the On Demand Connector. The ability to control the Sky+HD box in real time is a useful asset but most people in practice are likely to continue to use their standard remote for this. Downloads are fast but not instantaneous; if the rest of your family is using the broadband as well, or your exchange is suffering congestion, you may find pauses in your viewing experience. 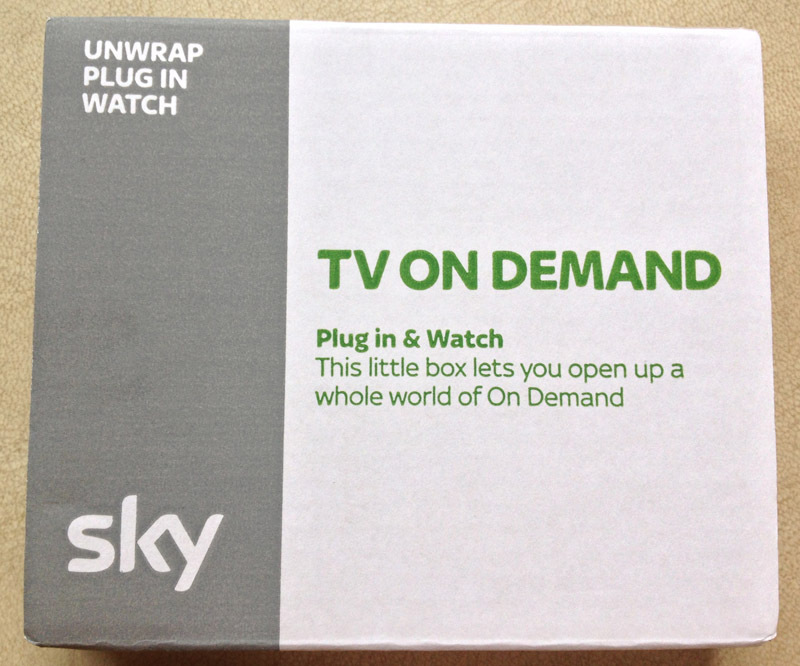 Whilst my sky+HD unit has been rock solid in terms of reliability, I have (infrequently) had to power it off since the addition of the On Demand Connector, mainly due to it not coming out of standby. Can i connect it with my PC and obtain Wifi connectivity via on demand wifi connector ? 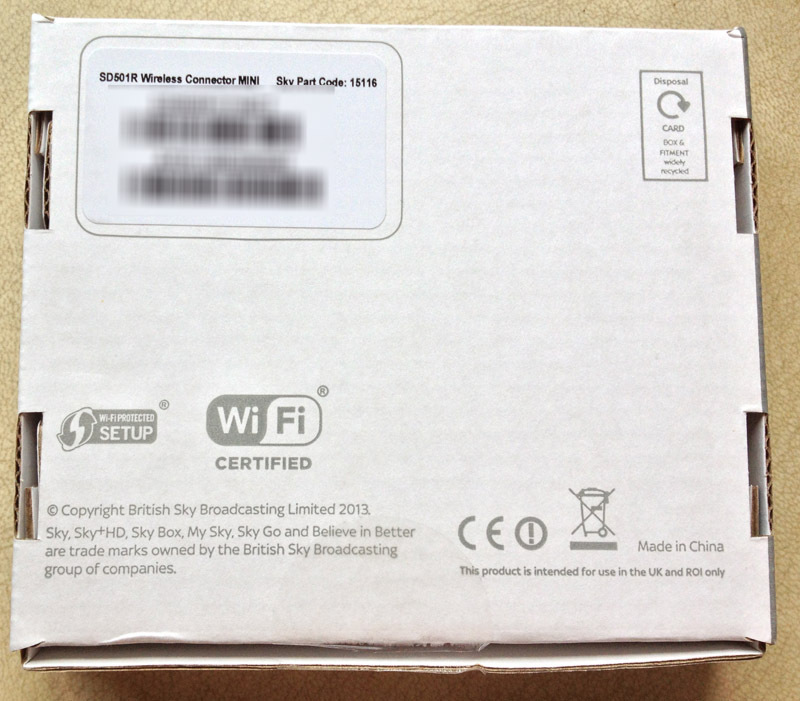 This question has been asked in forums in the past, see an example at http://www.skyuser.co.uk/forum/sky-news-announcements/53696-new-mini-wifi-adaptor-sky-5.html#post421763. As far as I can tell no one has successfully found a driver that will allow it to be used on Windows.